MERCEDES SPRINTER 313CDi 130 Mwb [ 7 seat Crew, Mess, Welfare Toilet unit ] High roof van Ex lease Rwd 6speed pas abs electric windows radio-Cd Forward / Rear facing seats table 3 point belts easy clean interior invertor water boiler microwave non slip flooring blow heating handwash over head storage strip lights rear step garment hooks roof vents work light beacon high level brake light, light use This will make ideal Camper / self contained rear - Toilet wash room - Rare model, We have one of the best selections Commercial vehicles around 120+ in stock, Cdv vans, Mwb, Lwb, Extended Frame, chassis cab, Tipper, Pickups, Double / Crew cab, T/Lifts, Luton / Boxes, Specialist units, Welfare units, Beavertail, Crane / Swing +T/Lift, Caged+ Refuge bodies, Every effort has been made to ensure the accuracy of the above information but errors may occur. Please check our team. TOYOTA PROACE 2.0HDi 1200 Enterprise L2 H1 125ps Lwb panel van [ Air Con+ cruise ] Twin side loading doors Lez 6 Door 6 speed Manual Diesel White Ex lease full service history light use Factory fitted bulk head overhead storage rear ply rear lined parking sensors radio cd Bluetooth pas electric front windows Remote Central Locking spare key 3 seats cloth upholstery dual passenger seat drivers airbag, We think its possibly One of the best examples throughout a real credit given to its former user....Full service Printout, ## MANY MORE IN STOCK ## We have one of the best selections Commercial vehicles around 120+ in stock, from the smaller Cdv vans, Mwb, Lwb, Extended Frame,chassis cab,Tipper, Pickups, Double / Crew cab, T/Lifts, Luton / Boxes, Specialist units, Welfare units, Beavertail, Crane / Swing +T/Lift, Caged+ Refuge bodies Every effort has been made to ensure the accuracy of the above information but errors may occur. Please check with a salesperson. 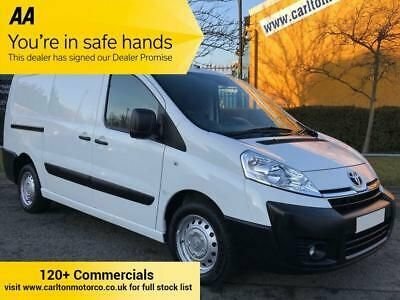 Fiat Doblo 1.2 SX MULTIJET 90 Bhp 16v CARGO L2 LWB [ MOBILE WORKSHOP ] LOW ROOF VAN Twin side loading doors Van Ex Lease Full maintence history printout 18, 38, 58k light use Rare model with no expense spared specification, Twin bulkhead hand cleaner dispenser load locking rails under floor storage.. steps chest draws roof vent 12v power-Invertor Too Much too list !! pas radio-Cd blue tooth electric windows remote locking cloth seats bulkhead ply lined ...We think / know its possibly one of the best examples throughout a real credit given to its former user. We have one of the best selections Commercial vehicles around 120+ in stock, from the smaller Cdv vans, Mwb, Lwb, Extended Frame,chassis cab,Tipper, Pickups, Double / Crew cab, T/Lifts, Luton / Boxes, Specialist units, Welfare units, Beavertail, Crane / Swing +T/Lift, Caged+ Refuge bodies. Ford Ranger 2.5XL TDCi 4WD D/Regular Cab Truck man Top [ MOBILE WORKSHOP UNIT ] Rwd Ex NEDL Utility Authority Light use, secure strong tool box fitted in cab over head storage side lockers rear tailgate rare body Led marker lights twin air bags pas electric windows Radio-cd 2x keys remote locks woven mid grey cloth seats, used- but not abused a credit to its former user, We know that you will be hard pushed to find better, motorway mileage- hence overall stunning condition throughout, We have one of the best selections Commercial vehicles around 120+ in stock, Cdv vans, Mwb, Lwb, Extended Frame,chassis cab,Tipper, Pickups, Double / Crew cab, T/Lifts, Luton / Boxes, Specialist units, Welfare units, Beavertail, Crane / Swing +T/Lift, Caged+ Refuge bodies, Every effort has been made to ensure the accuracy of the above information but errors may occur. Please check with a salesperson. 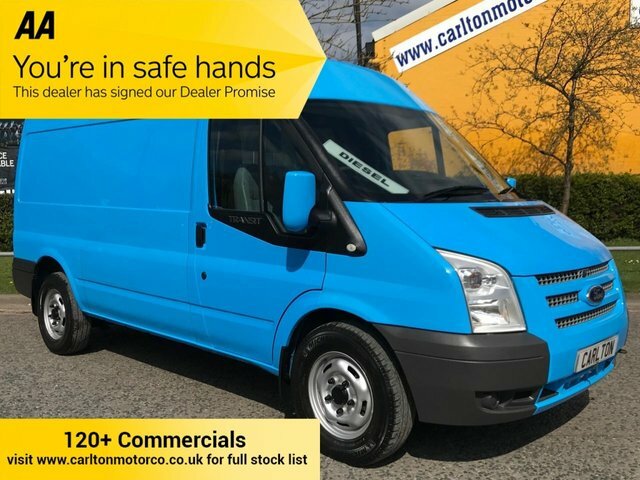 Get the best deal on a used van for sale in Darlington by making your way to Carlton Motor Co (North East) Limited today. You will find every available model listed here on the website, and as all our stock is competitively priced you should have no problem sourcing a pre-owned to suit your budget. Take the opportunity to browse our current range online before contacting a member of the showroom team to find out more. Our friendly and knowledgeable staff will be more than happy to answer any questions and provide advice and guidance when necessary. Alternatively, why not pay a visit to our showroom in person and take a closer look at the selection of used van models for sale.